Happy New Year! Almost. Okay, how many of you have some sort of monetary goals in your new year's resolutions? You're not alone! 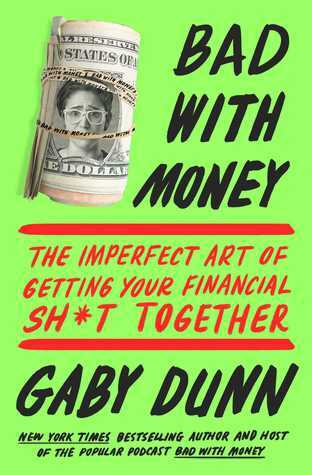 While you're working away at your own money issues, how about a fun book about someone else figuring this stuff out? Wow. So, Gaby is Bad with Money. This book is more memoir than how to so if you're looking for a straightforward how to get out of debt or how to handle money book, this isn't the best choice. There are financial tips throughout, but they are connected to lessons she's learned and not set up as a straight how to. If, on the other hand, you're looking for a funny, honest memoir about money troubles and learning how to not be bad with money, this is your book. Gaby writes with honesty and humor about her past monetary foibles and complete lack of financial knowledge and I know there are those who will greatly identify with her. My first roommate would simply stop writing down the checks she wrote in her checking account ledger when she was getting close to $0. Not stop spending... just stopped writing it down. Yeah, sure, that's how that works. I made plenty of my own mistakes with money over the years. At this point, in my mid-40s, I've learned to budget and my only debt is my mortgage which I've happily gotten paid down by nearly half over the past 5 years (I'm so looking forward to the day I make that last payment!). But it's been a journey rewriting the money scripts I learned growing up. Throughout the book, she tells not only her own story, but inserts what she's learned from interviewing experts and talking to friends and family along the way. Don't keep waiting, hoping for some windfall to save the day and fix all your money problems, get on a budget. This book would be especially useful to a younger person - teens and 20s - as a warning what not to do and how to get a good start on handling money. I would also recommend checking out her podcast, also titled Bad with Money. I've started from the beginning and am really enjoying the interviews she does with experts and people in her life talking about money. Thank you to Atria Books and NetGalley for the opportunity to read this book in exchange for my honest review. If instead, you're looking for a more straightforward book on budgeting and getting your money straight, check back tomorrow and I'll share the two that changed how I looked at and dealt with my own money. 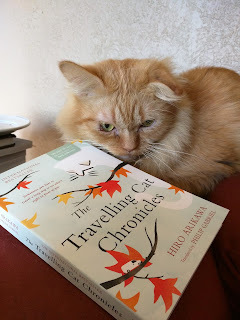 Yes, yes, I actually shared this book earlier this month in the cat-related book post. I hadn't actually read it yet, but I was sure it would be a winner. Was I wrong? Nope! 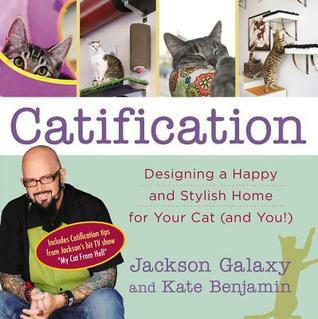 This is definitely my favorite Jackson Galaxy book to date! 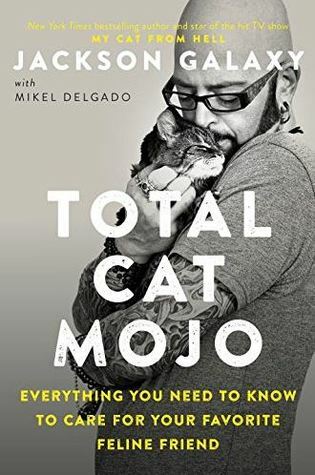 Total Cat Mojo by Jackson Galaxy, Published February 20th 2018 by Blackstone Audio, Inc. I don't buy many books these days. I borrowed this one in audiobook form from my library... I'll be buying myself a copy to keep and refer back to often! This book truly is a comprehensive manual for happy cats. Are you considering adopting your first cat? Adding a cat to your home with other resident cats or dogs? Have a kitty who seems to lash out at you or other humans or animals for no reason? Are you finding "accidents" in places you'd rather not? Does your cat seem bored? Scared? Do you have a door dasher? (I do!) Do you want to be the best guardian you can possibly be for your cat? Did you answer yes to <i>any</i> of these questions? This is the book for you! In these pages, Jackson addresses all of these "issues" and more. I seriously wish we could hand out a copy of this book along with every kitty adopted at the shelter I volunteer with. Or better yet, make it required reading pre-adoption! We can't do that, but I'll certainly be recommending it to everyone. If you have (or want) a cat in your life, read this book! 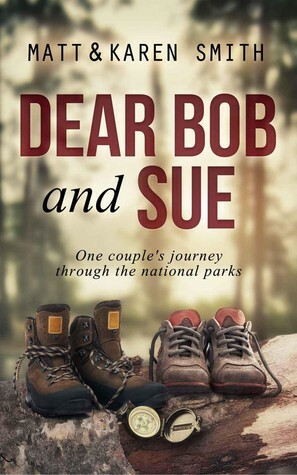 book chat - Dear Bob and Sue Seasons 1 & 2 and Dories Ho! I love a good travel book and these written by Matt and Karen Smith did not disappoint. Proof that one doesn't need to travel to a distant locale to find adventure and beauty. I really enjoyed this account of an empty-nester couple traveling to all 59 National Parks! (Originally, it was 58, but one more NP was added after initial publication - the audiobook includes the 59th.) The couple seems to have ample means since they quit their jobs and their trips included a lot of flights, hotel stays and rental cars so this aspect may not be incredibly relatable to many, however, the stories along the way are mostly entertaining and informative. If you're looking for stories of camping in the parks or leisurely enjoying nature, this isn't the book for you. This isn't the most "outdoorsy" couple - she avoids peeing in the woods, they stay in hotels at each park. They do a lot of hiking though at times they seem to be rushing through - in part this seems to be due to their competitive nature. Still, I enjoyed the stories and got plenty of chuckles from the book. 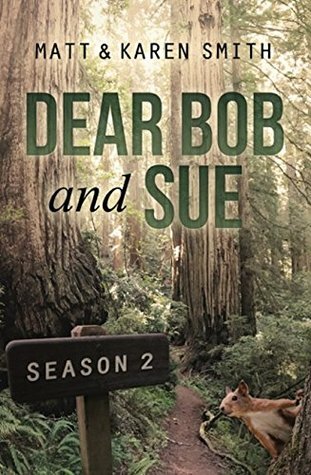 I've already requested my library purchase the second book, Dear Bob and Sue: Season 2. 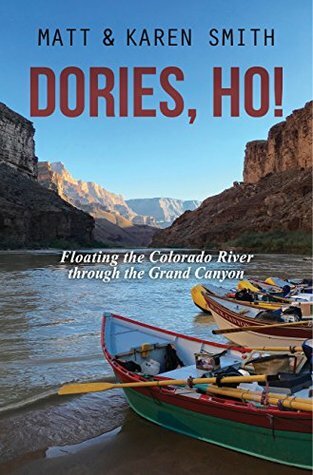 Ahh, this recounting of Matt and Karen Smith's adventure floating down the Colorado River through the Grand Canyon makes me want to book a trip! The Grand Canyon has always been one of my favorite national parks, but I've never been to the bottom. I need to fix that someday... For now, I was happy to go along with this couple and their friends. The second season is nearly as good as the first. I could have done without all the animal pelt talk, but well worth a read or listen! I'm always looking for new travel books. What are your favorites? 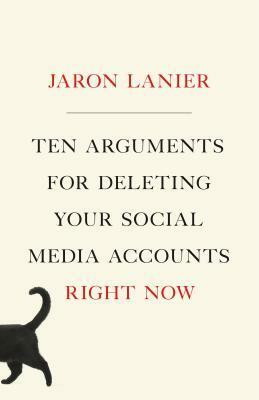 Ten Arguments for Deleting Your Social Media Accounts Right Now by Jaron Lanier, Published May 29th 2018 by Henry Holt and Co.
Ah, now I understand the kitty silhouette on the cover. This book is about disconnecting from apps and websites that control our experience so we can relearn to think for ourselves. We should be thinking independently like cats, rather than as a pack like dogs. Always a good reminder. Take a step back, examine how using X platform makes you feel. Do you feel better after using it? Sad? Annoyed? What we are shown is driven by algorithms and we don't all see the same the things so we don't experience the world in the same way anymore. We've lost that shared experience. It's no wonder we all seem a bit off to each other. We just aren't living in the same world anymore thanks to all the filters and personalized feeds controlling what we're exposed to so much of the time. I used to be much more connected through social media than I am today. Toward the end of when I was vlogging, I chose to hide all the "data". Viewers no longer saw the number of views or likes/dislikes. If I could have hidden that information from myself, I would have! I didn't like how those numbers made me feel - positive or negative. I didn't want what I shared or how I shared it to be influenced by the numbers in any way. I no longer vlog or podcast but I am still on social media. I quit Facebook years ago, but I'm still on Instagram (owned by FB). I hate what they've done to it - not just the ads (I do HATE the ads), but using algorithms to mess with our feed's timeline. I don't follow as many accounts there these days and mostly only log into my cat's account. Yes, I'm one of those. My cat has his own account. =) Those I follow with his account create feeds that makes me happy. I'm not trying to make him into an internet star, just hoping his photos and videos bring a few smiles and chuckles to those who see them. My personal one? I barely use it these days and when I do, I just feel so disconnected. This book is a call to take back our lives and think for ourselves. Does the author say the internet is evil? No. But we need to learn to use it to better our lives and not let apps and devices replace real life. In general, we are all way too attached to our devices these days. 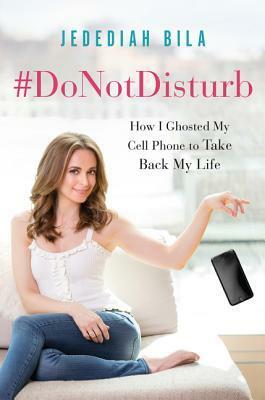 I really enjoyed Bila's book, chronicling how she was able to break her addiction to her phone and other devices and sharing how these devices are changing how we behave and how our brains work. After she discussed a couple of documentaries about a popular online roll playing game, Second Life, I watched one of them... Pretty sure I had a horrified look on my face the entire time. Soooo creepy. I fully enjoyed the introduction where Bila wrote a scene for Marty McFly visiting 2017. It really is crazy how we can be with others and still feel the need to constantly check social media and have other conversations. Instead of fearing what we may be missing out on, we should be enjoying what we're actually a part of. I haven't been on Facebook in a few years now because I didn't feel it was a particularly positive experience for me. The only real draw for me these days is Instagram. I'm careful though about how accounts I follow affect me and will unfollow if I feel they are affecting me in a negative way. Technology can add to our lives, but we must be aware of our attachment to it and be sure it's not replacing real life interactions. Are companies working hard to draw us into their tech and keep us there? Absolutely! But ultimately, it's our personal responsibility to set limits for ourselves and regain our real lives. "Make the most of the most important place on earth - home." Joshua Becker has long been one of my favorite writers in the minimalism arena. 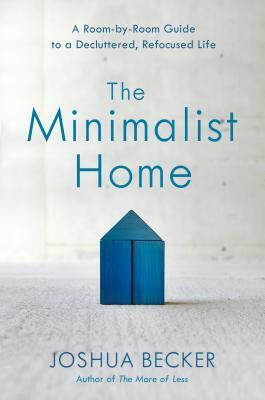 Having enjoyed his previous book, The More of Less, I was looking forward to his newest publication, The Minimalist Home. I'm no newbie to decluttering/minimizing, but I love a good reminder to take another look around and pare back anything that doesn't still meet my needs (or that snuck in in the meantime). Yes, there are a lot of books out there about decluttering and minimalism, but this is definitely one of my favorites and would be a good fit for those new to minimizing as well as those, like me, who have been at it awhile already. Becker leads the reader along as they work room by room through their home, getting rid of those items that are unloved or unneeded and helping the reader to work through the emotions that can arise when getting rid of stuff. Will you end up with a home full of nothing if you follow his plan? Nope! But you will end up with only those things you need, use and love and also end up with more time since you won't spend so much time cleaning or shopping. All good things. Thanks for another great book, Joshua! If you're reading this before publication date, head on over to Joshua's blog at becomingminimalist.com (link will take you directly to the post with the details). He's got a great deal going for pre-orders! But hurry, this book hits the streets on December 18, 2018! Thank you to WaterBrook & Multnomah and NetGalley for the opportunity to read this book in exchange for my honest review. 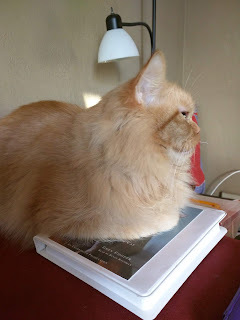 Wait, I don't want a cat book! But I love animals. Ohhhhhh, so you want an animal-related book but not necessarily about cats? Yeah, I have a few of those too! These books would be perfect for anyone who supports animal rescues, farm animal rescues in particular, but really any animal lover would appreciate these stories. Sometimes, you just know you're going to love a book... 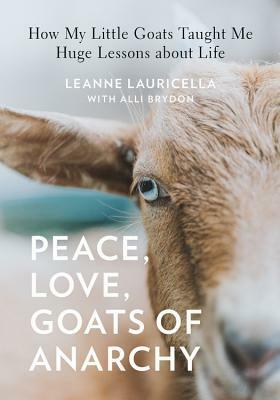 I've been following Leanne and her Goats (and non-goats) of Anarchy for awhile now on social media so I was familiar with this rescue and very excited to read this book! I didn't know the whole story of how she began GoA though. I loved getting to learn how it all began, how it grew and of course I loved the stories she shares here of some of the individual rescued goats. As any while lover knows, each animal has its own, unique personality. I was familiar with a few, but others had come to her farm before I started following along. I was there for Lawson's short life though. I'm a firm believer that animals of all kinds can be so healing and teach us valuable lessons we can translate into our own lives. Leanne shares the lessons these goats have taught her and so many of her followers. Books about rescues can be touching reads, but this one digs especially deeply into what's truly important in life and overcoming obstacles. As an added bonus, we get beautifully done photos that will surely bring a smile to your face! Thank you so much to Netgalley, Quarto Publishing Group - Rock Point and the author, Leanne Lauricella, for the opportunity to read and review this wonderful book in exchange for my honest review. Or maybe you're looking for something for a tiny person on your gift list? 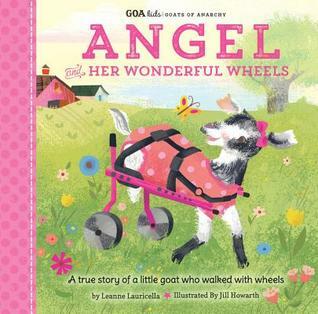 Angel and her Wonderful Wheels by Leanne Lauricella, Published October 2nd 2018 by Walter Foster Jr. Cute book with a good message. I've been following Goats of Anarchy via social media for awhile now and was curious about the children's books - there are several, each based on a different rescued animal's story. I wasn't disappointed. This book helps teach kids that differences aren't bad and that being yourself is the best you can do. Thank you to Quarto Publishing Group – Walter Foster, Jr. and NetGalley for the opportunity to read this sweet book in exchange for my honest review. Hmm, or maybe pigs are more your thing? After finishing this book, I'm still amazed that this couple raised a full size pig in their home. 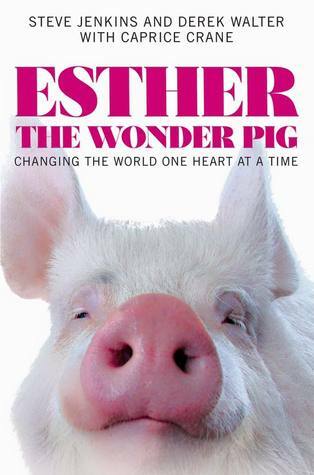 I loved hearing how the sanctuary, Happily Ever Esther, began. Getting to know an animal many think of as food often changes how people view the entire species. I appreciate as well how they use positivity to make an impact. There is nothing not to love about this book! The book begins with information about the impact (both on the animals themselves and on the environment) of factory farming. Not everyone is willing to go vegan, but we can all make decisions that impact the world around us in a less harmful way. I love that all animals featured here are living the good life in either a sanctuary, as a companion animal or on a hobby farm. We get a glimpse into each personality as well as a bit of information about the breed. Add to that beautiful photographs of each animal, capturing that unique personality. All animals are worthy of love and respect, even those many refer to as "food". 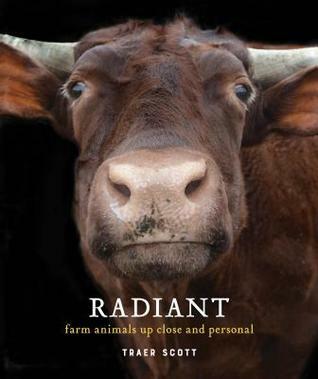 The book concludes with a list of farm animal sanctuaries - perfect if you're interested in donating, visiting or volunteering! Thank you to NetGalley and the publisher for the opportunity to read and review this wonderful book in exchange for my honest review. If you have any other suggestions of books like these, I'd love to hear! The holidays are upon us! Do you have your shopping done? I don't do a ton these days. I hate the whole obligatory gifting thing and the last thing most of us need is more stuff, but there are a few people I love giving gifts to and some of them are cat lovers and readers. Books make great gifts! If they're physical books, they can be passed along after being read and if they're digital, no clutter! It just so happens, I was lucky enough to get early digital copies of a few new books out in time for the holidays this year! Many of these were recently published so your cat-loving, book-loving giftee very well might not have read them yet. When I saw this ARC (advanced reader copy) available a few months ago, I couldn't request it quickly enough. I mean, a book about amazing cats? That's a no brainer for me. Having been owned by cats my entire life, I love well told stories about wonderful cats. All cats are wonderful in their own ways, but not everyone is a gifted storyteller like the author. 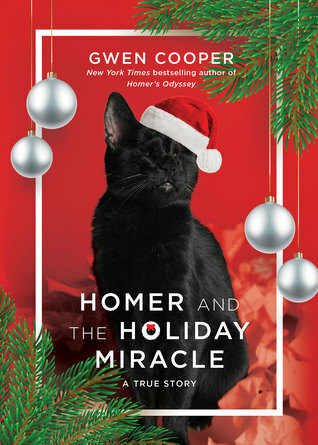 I'll admit, I was unfamiliar with Gwen Cooper or her blind cat Homer before reading this book, but I quickly fell in love with Homer and the rest of the feline gang through the touching and funny stories she tells of their antics and quirks. Being the guardian of a purrfectly impurrfect cat myself, I know just how important it is to let potential adopters know just how amazing these animals are and that whatever makes them different, doesn't make them less. This book would surely be enjoyed by any cat lover and will make a wonderful gift for a few "crazy cat ladies" in my life! 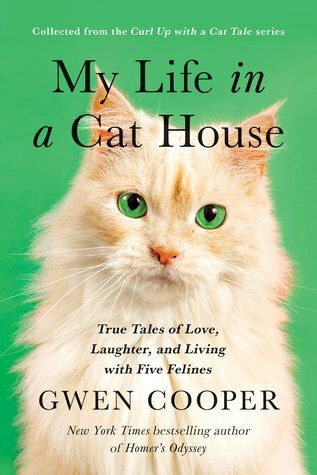 After reading Cooper's My Life in the Cat House, I fully expected this short book to be both touching and funny... and it did not disappoint. Homer was an amazing cat who beat the odds over and over. You can't help but fall in love with Homer. Being owned by a purrfectly impurrfect cat myself, i know that even those with challenges deserve a chance at a wonderful life. This story is a great reminder to live life to the fullest and enjoy every moment, regardless of our particular obstacles. Thank you to Gwen Cooper, BenBella Books and NetGalley for the opportunity to read and review both of these heartwarming book in exchange for my honest reviews. Another great book from Gwen Cooper! Having read a couple of her other books, I fully expected to enjoy this one. 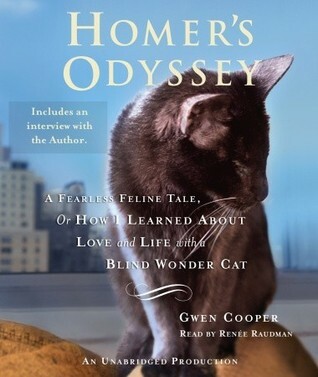 I loved getting to know Homer a little better through the humorous and touching stories Gwen shares. I listened to the audiobook and really enjoyed the commentary at the end with both Gwen and her husband. Like Gwen, I'm so thankful my Oscar was passed up by so many people in the 6 weeks he sat in the shelter waiting for his forever home and especially to the one person who briefly adopted and returned him to the shelter. Some cats just need a little extra understanding and patience, but they are so worth it, whatever their challenges. I know, I promise all the books I'm sharing aren't written by Gwen! But I really do enjoy her writing style and she's skilled at sharing the wonderful stories of her cats. She also has written a fictional story, Love Saves the Day (Published January 15th 2013 by Bantam), but I haven't read that one yet so you're on your own there. How about some cat-related fiction? It took me a bit to really get into this story of the bond between man and cat - told from the cat's perspective! Though the story was slow in the beginning, as the journey went on, I began loving the book. Without giving anything away, I think anyone who has loved a pet, be it cat or dog or other, will relate to this story of love and friendship. The story also makes us think of the impact we leave on the people we encounter throughout our lives. 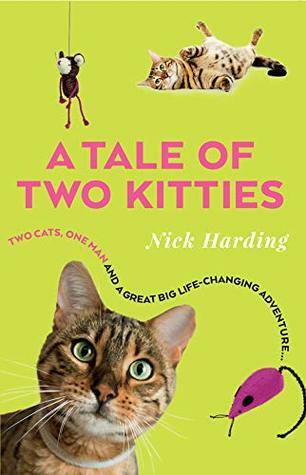 This book was a fun mix of stories from the author's life being taken over by cats along with the history of and facts about cats. The author does a nice job of weaving this all together. As both a cat and dog person, I can't imagine life without a furry buddy (or several) around and had to laugh as Alvin won Harding over and took over the house. While I don't agree with all of Harding's beliefs about cats, this was an enjoyable read with a bit of everything. 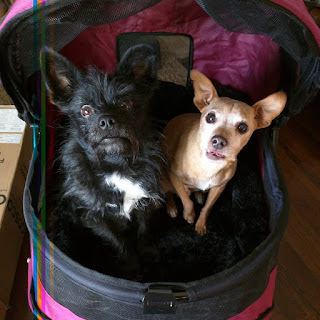 I do see the draw of purebreds, but if you're thinking of adding a furry friend to your household, check out local rescues! There are so many wonderful animals looking for homes. Having recently adopted a 6-ish year old rescue cat myself, I can vouch for the fact that rescued animals give every bit as much (if not more) love as one purchased. Thank you to the author Nick Harding, Mirror Books and NetGalley for the opportunity to read and review this book in exchange for my honest review. Would the cat lover in your life get more out of a reference type book? 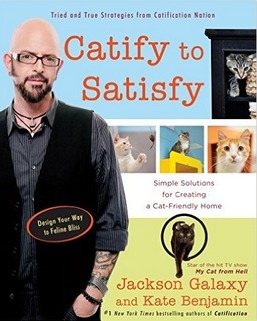 I'd recommend anything from Jackson Galaxy, aka The Cat Daddy! I've read both Catification (Published October 14th 2014 by Tarcher) and Catify to Satisfy (Published November 17th 2015 by TarcherPerigee) and highly recommend both! These books offer tips and instruction for making your home more cat-friendly and making your feline friend(s) as happy as they can be. 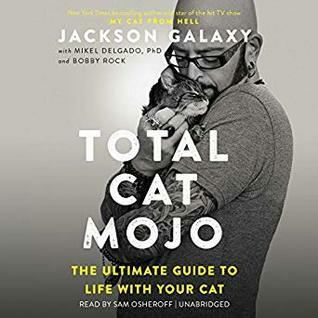 I currently have my library's copy of Total Cat Mojo (Published October 31st 2017 by Tarcherperigee) and though I haven't yet read this one, I'm fully comfortable recommending this one as well just based on Jackson's previous books, website and reputation in the cat world. I'm sure it'll be another winner! How about one more? 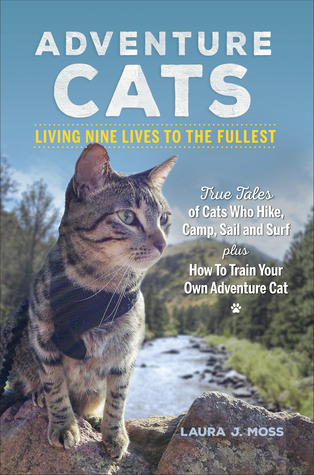 This one's for the more adventurous cat lover. I picked this one up a couple months ago and haven't read through it yet, but after a quick flip through, it looks promising! My little Olive seems just the type to enjoy outdoor adventures. I've already picked her up a tiny harness to give it a go. Of course, this is just a short list of the extensive collection of cat-related books out there. I only touched on those I've recently read (or will read shortly). What are your favorite cat-related books? 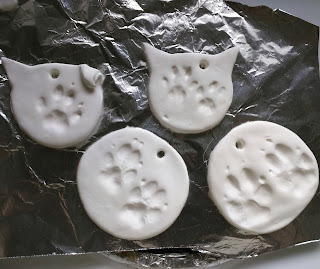 Other gift ideas for the cat lover? Or maybe it should be, I'm ALIVE! Yes, folks, the blog is back! Sorry I've been sleeping on the job. What else has happened? Well, if you've been around awhile, that little black fluff puddle up there might not look familiar. Yep, there have been a couple of additions to the furry family! Sadly, we had to say goodbye to both of our elderly kitties, the beautiful calico Phoebe back in June and spunky tuxedo Xander just before Thanksgiving. And while my heart was crushed by those losses, I knew we could honor those lives by offering two new souls a wonderful, loving home. Oscar came to us from the local county animal shelter back at the end of June, 2018. He had spent about 6 weeks living in the shelter after having been rescued along with 60+ others from a hoarder/illegal breeder. He had been adopted briefly and returned because he peed on their rugs. Oscar was estimated by my vet to be 5-7 years old and came with a few chronic health surprises, but he is the happiest and funniest cat I've ever met and takes most things in stride (including two in your face little dogs and a grumpy older kitty). We've been through an expensive dental procedure in which he lost 13 of his teeth! And we think we have his urinary crystal problem under control with prescription food - we'll be testing him again soon. He's not thrilled when I have to clean and treat his ears a couple times a week, but he doesn't hold grudges. Again, the happiest cat ever! You can see Oscar's new, wonderful life on his Instagram account here - Oscar the not so Grouchy. Olive makes plenty of appearances as well. And occasionally the pups too! Olive has been with us for about 2 months now, since she was about 4 weeks old. I finally caved and agreed to foster a kitten who had come into the shelter alone. I knew she was young, but nothing else about her, not even that she was a she. I didn't ask because... she was meant to be temporary. Just raise her up until she's big enough to be adopted! Yeah. So, Olive is staying. 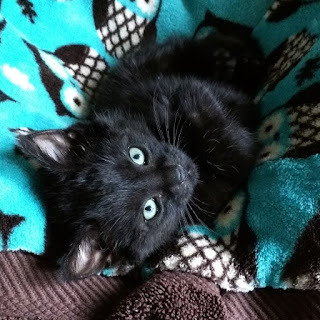 =) She's had a few health challenges herself (mystery diarrhea twice, ringworm - that was fun) in her short life, but at roughly 12 weeks now, she's healthy and happy and growing like a weed! She's spunky and cuddly and loves wrestling with Oscar and Gus. Soon, she'll officially be a permanent part of our family! And Oscar loves having a little sister to play with. That of course being the deciding factor in her staying. He had to love her. Apparently, it was meant to be. Gus and Reilly in their new ride! Here's our most recent crafty project. New kids means new ornaments were in order! Christmas ornaments - Guess which is Oscar's! So, what's the plan for this blog? I don't intend (at least right now, who knows if that will change) to revive the YouTube channel, but I will be posting crafty content and books I'm loving (both new releases and older titles too) and well, anything else I feel like sharing because... my blog, my choice! I hope you'll join me!